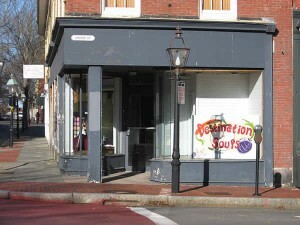 How long have you been owner of Destination Soups? We opened our doors December 2008, so we just hit our two year birthday. 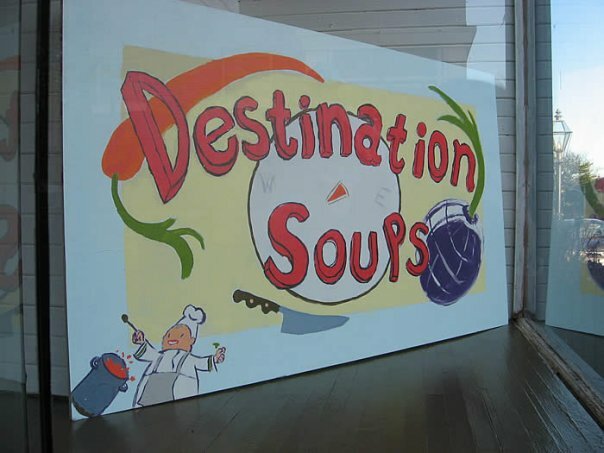 What did you do before owning Destination Soups? I was a chef, and I’ve been working in restaurants for my entire adult life. Prior to moving back to New Bedford, I ran a kitchen in Manhattan for five years. How would you describe the dining experience in your restaurant? 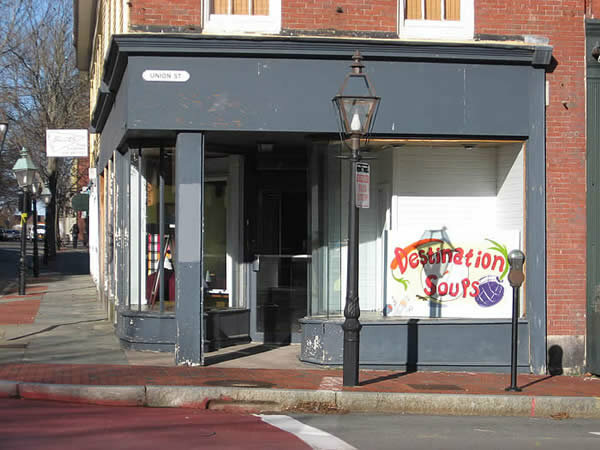 I have always thought that New Bedford could be a “destination” for music, culture, and food. I want people to come here to my shop when they think of soup. I want people to come back downtown. The name is a blessing and a curse, because we have a lot more than just soup, we do a lot of sandwiches, salads, and great, healthy options in the summertime too. Do you have a favorite chef? No, not really, I don’t consider myself a “foodie,” and I don’t really pay attention to the culinary world. In general, the places I am drawn to provide simple, fresh food without being overly hung up on technique or coolness. What are the most popular food items at Destination Soups? Our grilled cheese sandwich is the best in town, with cheddar and provolone on sourdough that you can add avocado, bacon, tomato, or salami to. Our yummy chopped salad is popular, and our chicken vegetable and creamy tomato basil soups always sell out. Also, we have chowder on Thursdays and Fridays that many people request for us to have everyday. What kind of regular specials do you have? The menu is somewhat seasonal. In the fall and winter, I make three to four special soups a day in addition to our regular soups that I mentioned above. We do a lot of vegetarian dishes. For example. we just had a chickpea peanut curry soup. We’ve also had a butternut squash soup with turkey, apple, and sage, and a delicious chicken corn chowder. In the springtime, we do things likes special wraps and special salads, plus there is usually a special sandwich year-round. One of my favorites is a southwest chicken wrap with chicken, guacamole, corn, pico de gallo, cheddar cheese and lettuce. If you could tell New Bedford residents anything about your restaurant, what would it be? Everything is fresh and homemade. I try very hard to keep the menu interesting and varied. We’re open Monday-Friday until 6pm,and now open on Saturdays from noon to 4 P.M. Don’t forget about us in the summertime! We do a gazpacho that will knock your flip-flops off!